When Boys Wear “Girl Clothes,” is Backlash Inevitable? Got tweens/teens? We’re trying a new advice column here at Alpha Mom to address your questions for the older-kid crowd. We hope you enjoy! And if you have a question to submit, hit me up at alphamomteens[at]gmail[dot]com. This subject of this post might be a little younger than your usual questions, but I know you’ve addressed this subject in the past with compassion and understanding. After school, I have asked him whether friends asked about the costume/shirt, and he said “yes,” and said some boys called him a girl and laughed at him. He also said that his two best friends in the class (little girls) said boys couldn’t wear those things. He said these statements made him sad, and that he doesn’t like when people laugh at him. Since then (about a week ago), I’ve noticed he isn’t talking about his two best friends anymore, and doesn’t mention other kids. He is much quieter after school, and is hesitant to go into the classroom in the mornings. Today, at drop off, the two little girl friends said “Oh look, there’s [child! ]” and ran up to him. He did not acknowledge them, and I heard one of the girls say “Oh, I guess he’s still mad at us.” They went back to playing together, and he went off by himself and was playing alone when I left. I saw another little girl take something out of his hands, and he didn’t fight it — just went back to playing alone. I feel so guilty and torn. I feel like I opened him up to being shunned by letting him wear non-conforming outfits. My husband was okay with him dressing up at home, but disagreed with my decision to let him wear the costume to school because he was worried about this exact situation. I’ve asked the teachers, but they assured me that he’s doing fine and playing with other kids and that no one has shunned him, which doesn’t seem to be what I’ve observed. How do I navigate what to do next? I am so worried about him being opened to bullying. I had hoped that letting him embrace what makes him happy would let him be a confident, happy child, but I fear that he is instead going to become more withdrawn and isolated. Oof. This is so hard, E, and incorporates so many different issues. You wrote in a number of weeks back, and I sincerely hope that by the time you read this, everything has resolved on its own. In the event that it hasn’t (or there are others facing similar issues), let me try to unpack what I’m reading here. 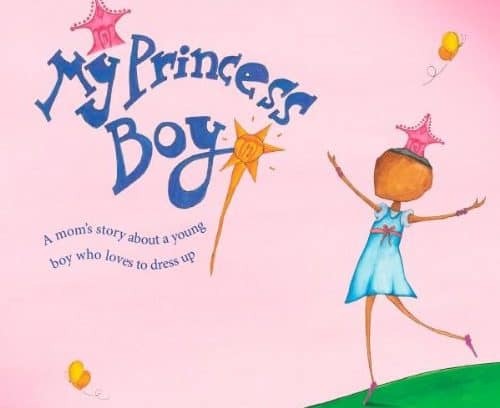 The first issue is that your son enjoys dressing (and/or “dressing up”) in clothing which isn’t strictly “for boys.” Nothing you’ve shared here seems amiss to me at all; you are allowing him the space and freedom to explore—which, I would add, is hardly even out of the ordinary for a child of this age—while also trying to talk to him about how others may react to his choices, and how he might handle those reactions. So in that regard, I think you’ve handled everything with both openness and caution. The second issue is that you and your husband are at odds about the right approach, here, and I’m going to go out on a limb and say two things about that. I’m certain that your guilt is magnified by feeling like your coparent is looming in the background with a big I TOLD YOU SO (whether he truly is or not), and I’m equally certain that your son is aware that Daddy thinks those clothing choices are somehow not okay out in the world. Both of these are complicating factors in your situation in different ways, and I’ll get back to that in a bit. The third issue is that you’re now worried about your son’s wellbeing at school, because it appears that all of this somehow sucked the joy out of the place for him. Your concerns and valid, of course—if he seems unhappy and it hasn’t resolved on its own, that’s worrisome—but it’s also possible that your take on what is happening and why may be skewed by your worry about the dressing up thing. Okay; now is the time for a piece of real talk to lay on top of all of these issues. Here it is: kids will make fun of other kids for almost anything, sometimes, even inconsequential things, and even when the kids in question are supposedly friends. That’s just… part of growing up. Even the kindest children among us sometimes experiment with the unkindest of behavior. From my (unfettered) viewpoint, this could’ve happened with anything, not just non-gender-conforming clothing. I have a vivid memory of my son being taunted for the color of his shoelaces (neon, if memory serves) when he was in preschool. Kids will call out anything different just because they can. Learning to handle this stuff is a skill we all have to learn, though of course it’s heartbreaking to think we have to start learning it pre-kindergarten. I think some of your guilt and worry comes from the fact that you and your husband weren’t in agreement about the wearing of these outfits out of the house, and you tried to prepare your son for any fallout, and then (it appears) things went badly. Of course you feel like you should’ve been able to prevent his hurt. Aren’t we parents supposed to protect our kids? Shouldn’t you have protected him from this? Maybe you could’ve protected him from this specific thing (maybe! ), but then it would’ve been something else. And in order to protect him from this, you would’ve first had to send a message about his preferences which you didn’t feel comfortable sending (namely, that it’s too “weird” or “wrong” to do outside of the house), which could’ve led to other issues. Scenario B: … he is now engaging in a bit of push-pull with his friends in retaliation, and you’ve been witnessing some of that, but after you leave, they end up playing together more often than not. At the same time, he’s entered a period of time where he’s either regrouping or just becoming more introverted, and is actually fine. Scenario C: … the current reality is somewhere between Scenarios A and B, perhaps with a dash of “maybe Daddy was right and I should change what I like and/or how I act” thrown in for good measure. Things may or may not resolve on their own. Keep talking with your son, but also keep talking with your husband. It’s important that the adults find some common ground so that you can best nurture your child. If you see signs of genuine depression—changes in appetite or sleep habits, loss of interest in activities at home, or drastic emotional changes—please don’t delay in seeking professional counseling for your son. While a certain amount of social struggle is inevitable, when our kids stop bouncing back, it’s time to call in reinforcements. Talk about why kids are sometimes unkind to one another (they don’t realize they’re being mean, or they realize but have their own issues—keep this age-appropriate, of course) and how we can disagree with people and still be friends. Talk about how it’s okay to say “That hurts my feelings. Friends don’t say things like that to each other.” Remind him that he can talk to you about anything. Remind him that different isn’t wrong, it’s just different. Remind him it’s okay to dress however he wants, and it’s also okay to not dress how he wants if he’d rather not risk the teasing. Remind him these are tough choices, but they’re his. Please let go of any guilt you’re feeling. You’re obviously a loving parent doing your best. This is a bump in the road. You will all work through it and be stronger when you get to the next bump, I promise. Don’t forget that you can submit your own question to alphamomteens[at]gmail[dot]com.